At the end of October we had our 2nd whole herd TB test. 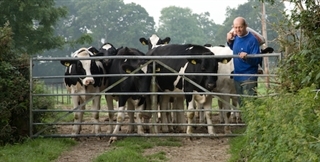 We were more than hopeful that our herd would pass and we would get back to selling our raw milk. I'm sorry to say that under severe interpretation of skin reaction to the test, we had 3 TB reactors. 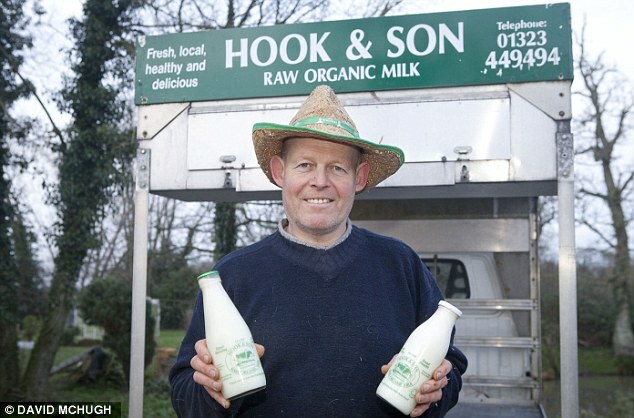 It is a devastating blow for everyone here at the farm, and for all of our customers who have been so patient waiting for raw milk to come back. Our cows now need to pass 2 consecutive tests, which means the soonest we will be able to sell raw milk again will be towards the end of February 2019. It will be an extremely tough time ahead for our farm to survive, as it has been raw milk that has made our farm sustainable. We all hope you are able to continue to support our farm, even without raw dairy. We need your support more than ever! Just to update you, we passed our TB test in January, although there were four animals that were 'inconclusive.' That means they had a small reaction to the skin test, but not enough to be classed as a TB reactor, so are called 'inconclusive.' We had no TB reactors, which is good; hopefully we'll pass the 2nd whole herd skin test (all cows, heifers and calves over 42 days old at time of test) at the end of March, and regain our official TB free status and sell raw milk again! We are holding our first Mad Marsh Run on Sunday 28th April. It will be a 10km extreme cross country course on the farm and on to the beautiful Pevensey Levels which includes open field running, ditch jumping, marsh bog, fallen trees amongst the obstacles. Please have a look at the website. www.madmarshrun.com if you would like to take part, as a runner, spectator, or as a volunteer; it will be a wonderful event! IMPORTANT: PLEASE PRINT A COPY OF YOUR ORDER CONFIRMATION FOR YOUR ENTRY TICKET! Turnout Day - Easter Monday 22 April 2019 Come and join us for the event of our year! Our aim is to give people the chance to meet the farmer and his dancing cows. Gates open at 9.30 am then at 10.45 am, after having been indoors all winter, the milking cows run out onto spring pasture for the first time this year. Witness this amazing event. There will also be tractor and trailer rides! Gates Open from 9.30am and close at 2.00pm. At approximately 10.45 am the milking herd will be turned out. Come rain or shine, they will be going out, so you may need your wellies!! A note of caution, the ground is uneven and not suitable for pushchairs or wheelchairs. Every spring, something magical happens, as farmers turn their cows back out into the fields after a long winter inside. As they see the fresh grass and feel the wind on their backs, they look like they’re dancing across the pasture. The cows get very excited about the prospect and so do we! Those of you who joined us last year or seen our Moo-Man DVD will know what a special day this is for the cows! PLEASE PRINT A COPY OF YOUR ORDER CONFIRMATION FOR YOUR TICKET! For children under the age of 16, all children must be accompanied by an adult. Please note that the ground is uneven and unsuitable for pushchairs or wheelchairs!